• Larry Bird and Magic Johnson were the two biggest Converse brand stars to ever lace them up, but at the end of their reign, Converse funneled its effort towards Larry "Grandmama" Johnson. 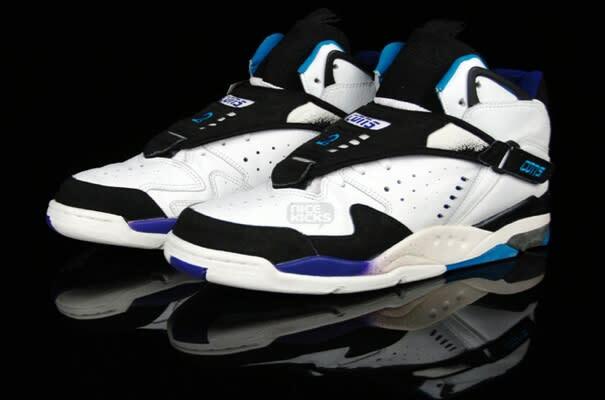 The Converse Aero Jam was the first of two signatures LJ wore for Converse, and its distinctive features included a fade-splattered midsole, textured heel, and fade colors on the removable cover. The "Grandmama" advertising campaign behind this sneaker was just as interesting and engaging as the shoe itself.